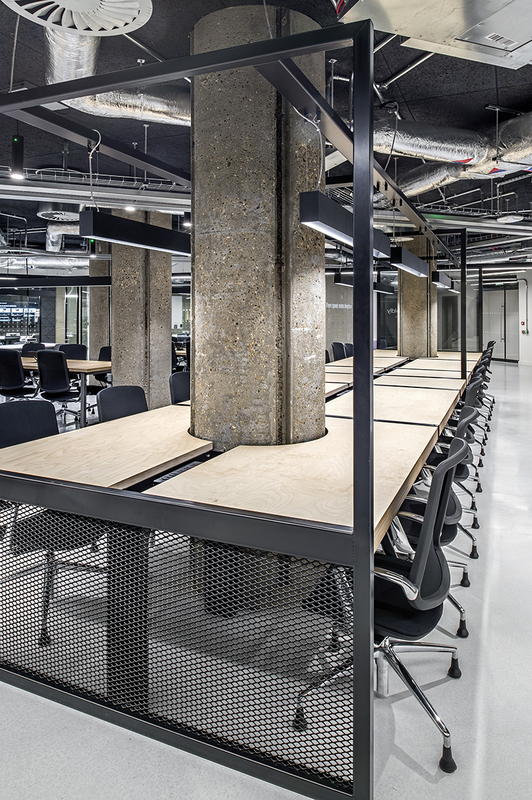 Last year I photographed the new RocketSpace Tech Campus in London. 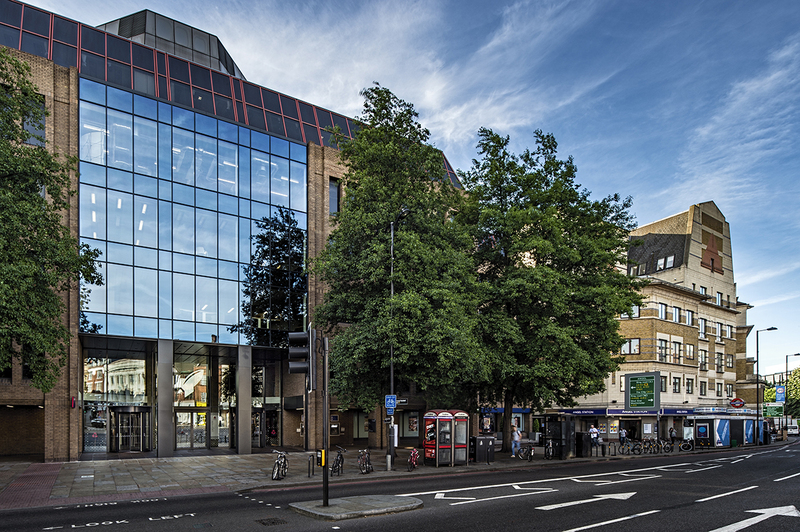 The campus is located in the Royal Bank of Scotland's old cash-counting facility in Angel, Islington. 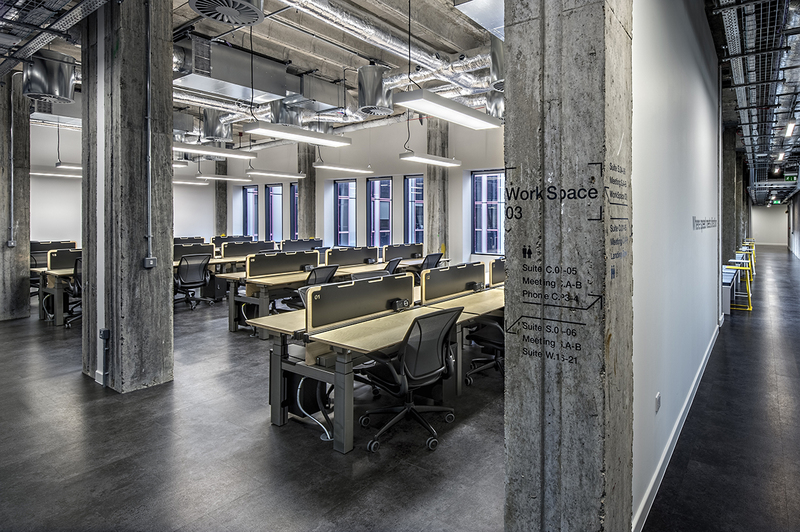 Natwest partnered with RocketSpace to help it enter the UK market. 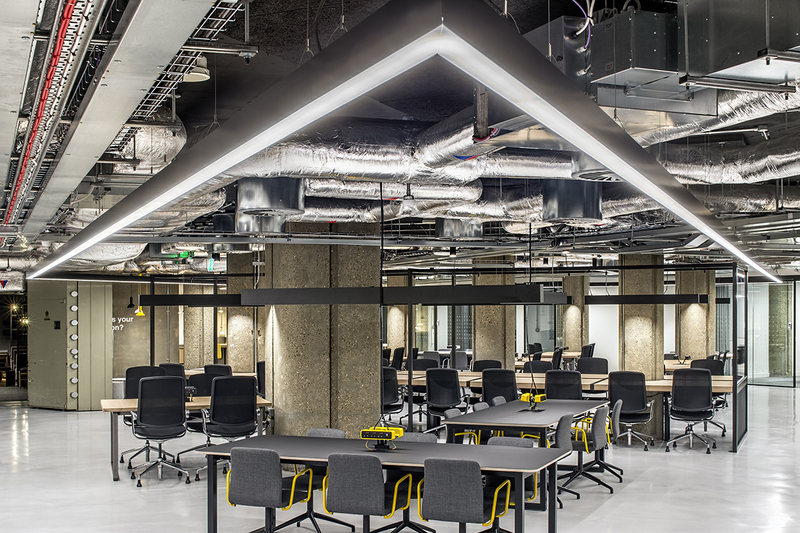 The project was designed by LOM architects, with Overbury as the fit out company, fdcreative designing the lighting scheme, and the photography was in collaboration with Project Pictures. 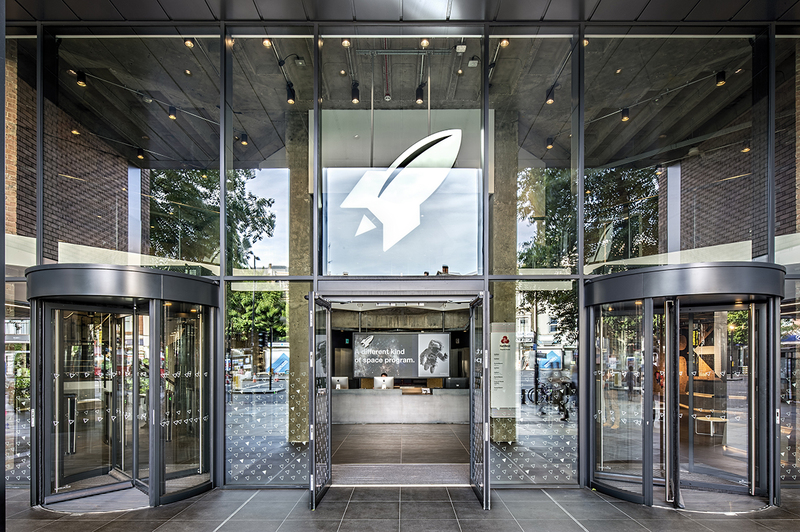 Since launching in 2011, RocketSpace have brought Velocity to the World’s Top Innovators, with 750 tech start-ups and 16 unicorns including Uber, Blippar, Supercell and Spotify. 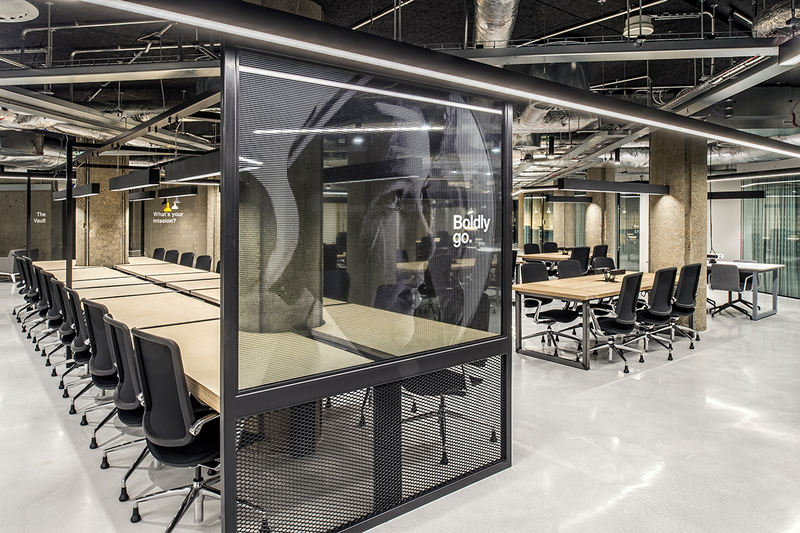 The new State-of-the-art campus is designed specifically for high-growth tech start-ups and is RocketSpace’s first new facility outside San Francisco. 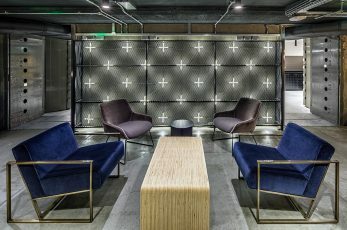 Services and amenities will accommodate the needs of growing tech start-up teams, including office-as-a-service, a multi-gigabit internet connection, cafe, collaborative workspaces, and a large event space. 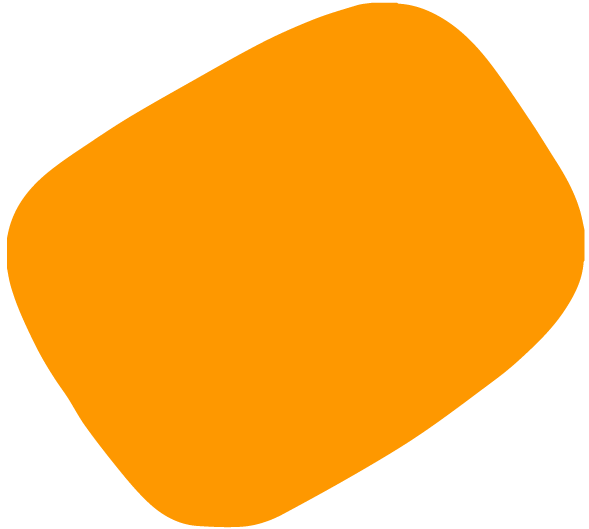 Members have access to hands-on workshops, peer group roundtables, trend talks and networking events, among other services. 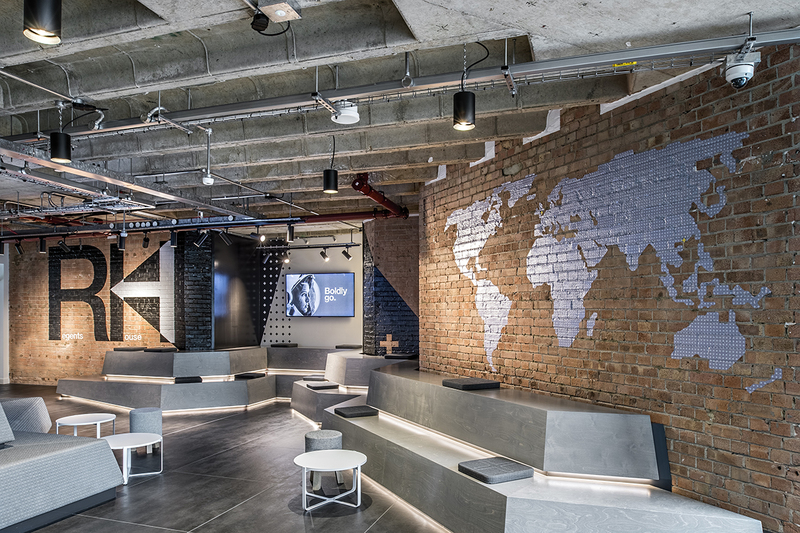 The Brief was to create a flexible work environment for up to 1,500 people in the Regent’s House building which included converting the loading bay into a double-height state-of-the-art event space, and NatWest’s former cash vault into a lounge and games room. 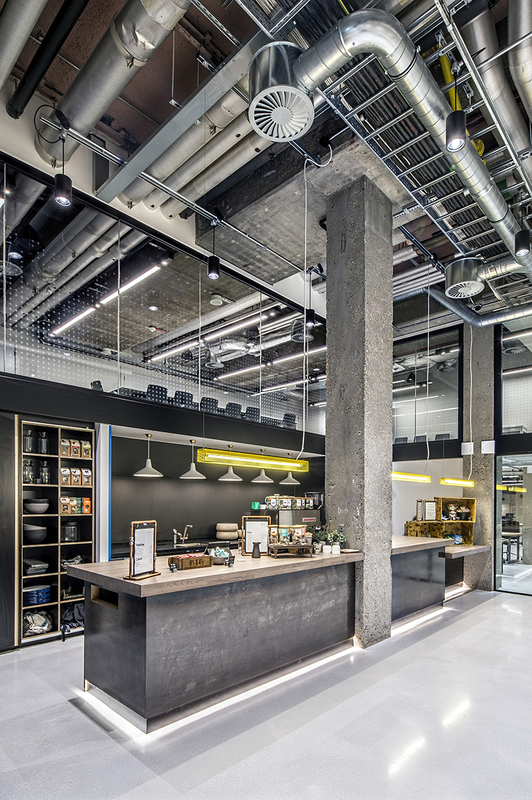 The reception area was opened up and transformed by taking the walls back to bare concrete. 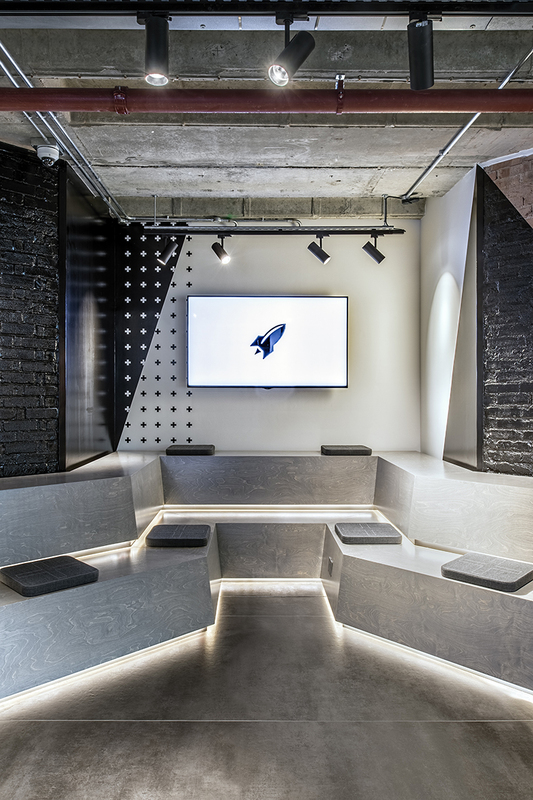 Lighting focuses on the reception desk, seating areas and the Rocket Space Brand. 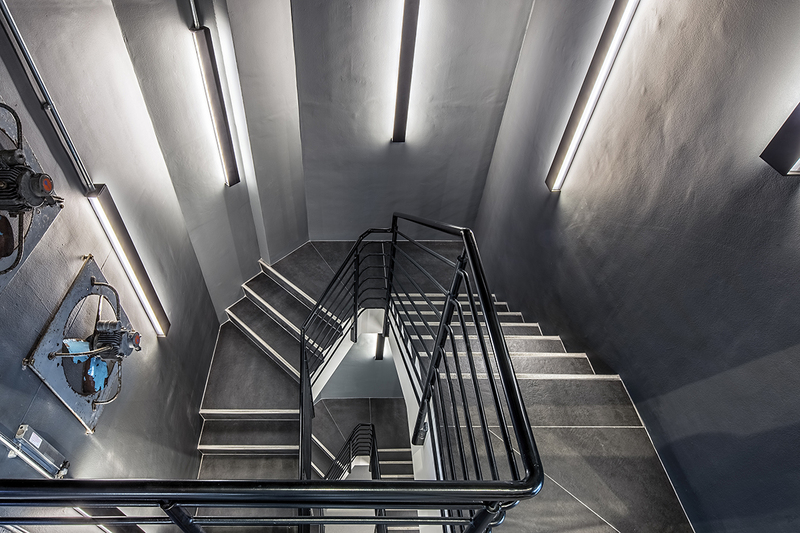 1200 tonnes of material was removed to create the events space, with the 1980’s building stripped back to its original concrete frame, revealing the blast proof reinforced structure, coffered ceilings and brickwork. 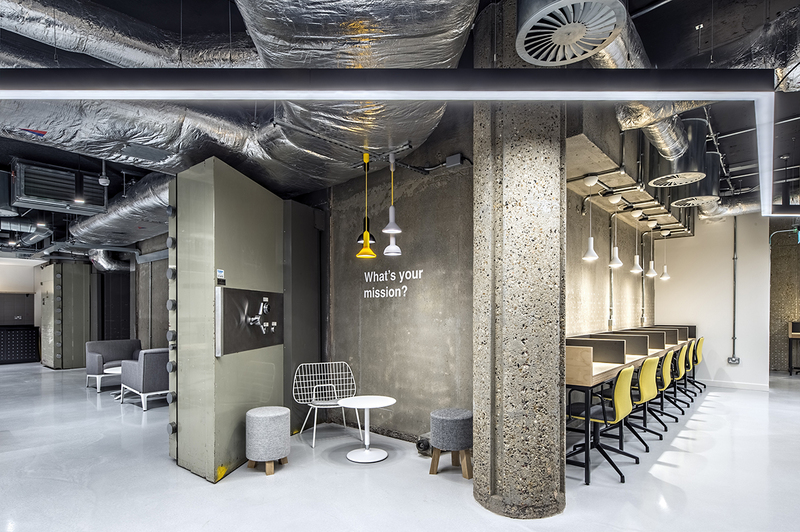 A utilitarian workplace design includes exposed services, clean lines, steel and concrete with accent colours. 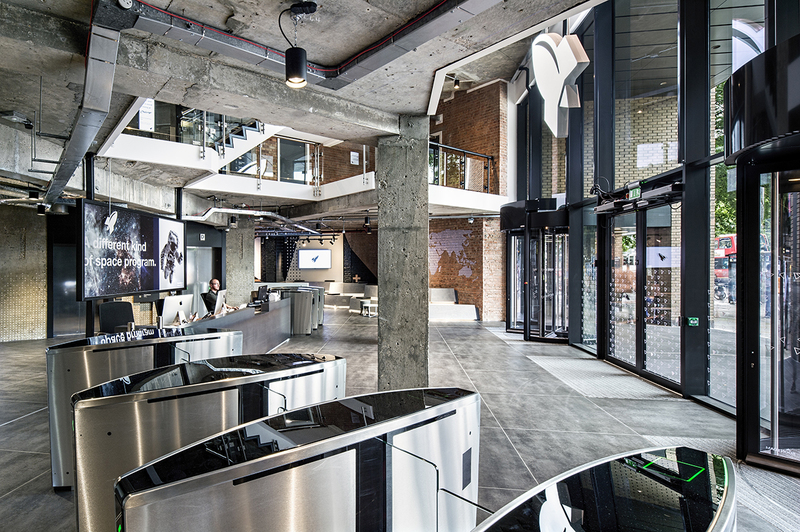 LOM have also created bespoke signage. 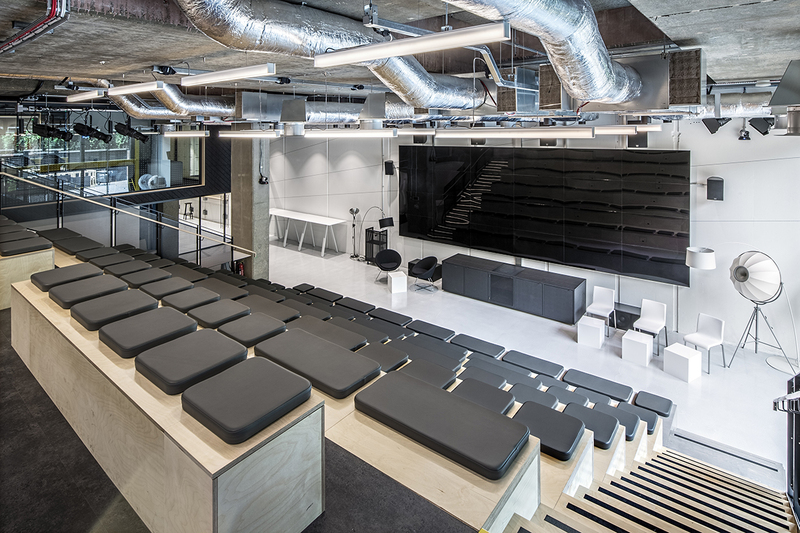 The presentation area is the gravitational centre of the campus and includes bleacher seating and a 24 panel digital screen for presentations, web conferences and gaming. 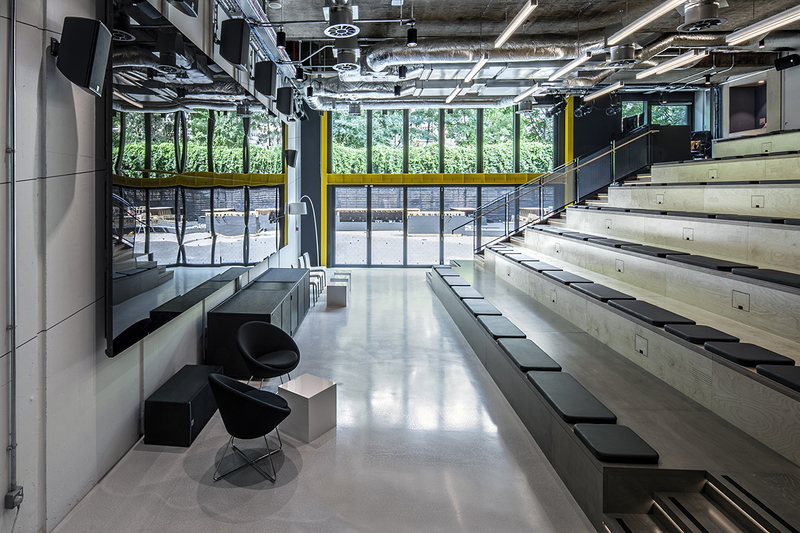 The impressive double height space provides a shared social, interactive networking hub teaching facilities and a bar area. 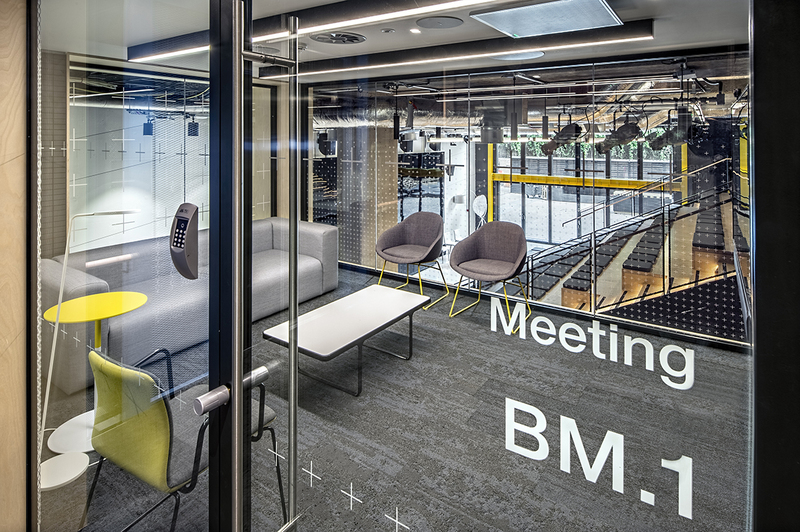 The internal volume has been optimised by introducing a new mezzanine level to accommodate media pods and flex-rooms. 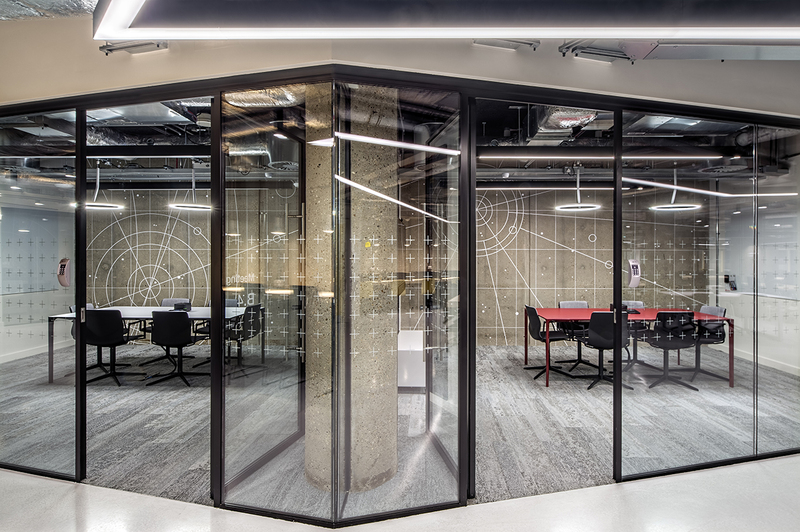 The bank vault has been converted to a break out space and games room complete with bullion cages and vault doors. 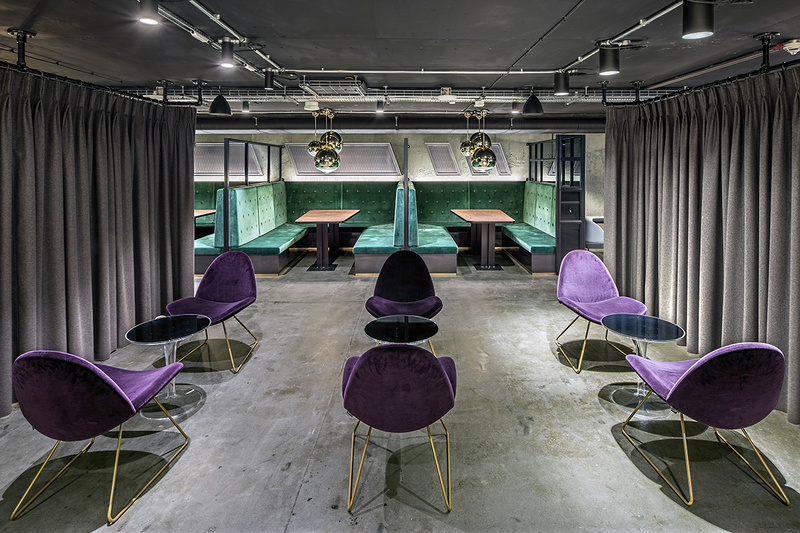 Banquette seating, plush upholstered furnishings, a cinema lightbox and ornate billiard table provide reference to the auspicious activities of a former cash vault. The vault doors, bolts protruding, have remained untouched. 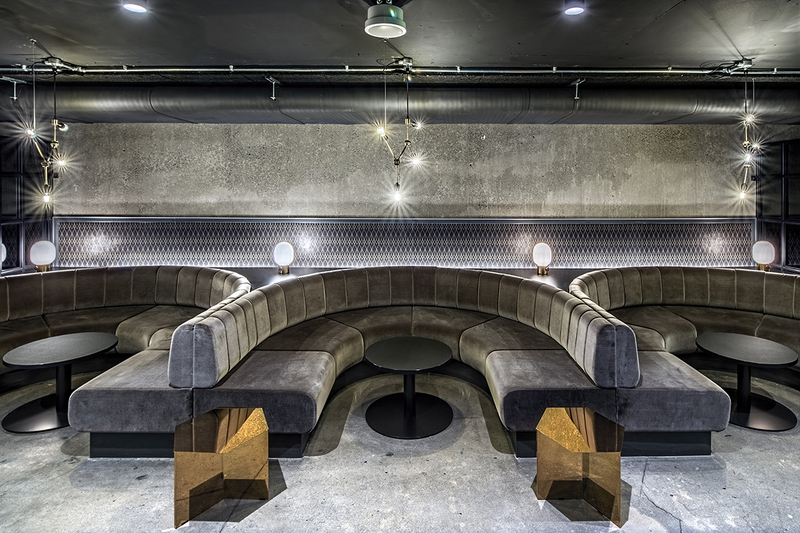 The lounge and games room was lit using a mixture of decorative pendants located over seating areas to create an intimate atmosphere. 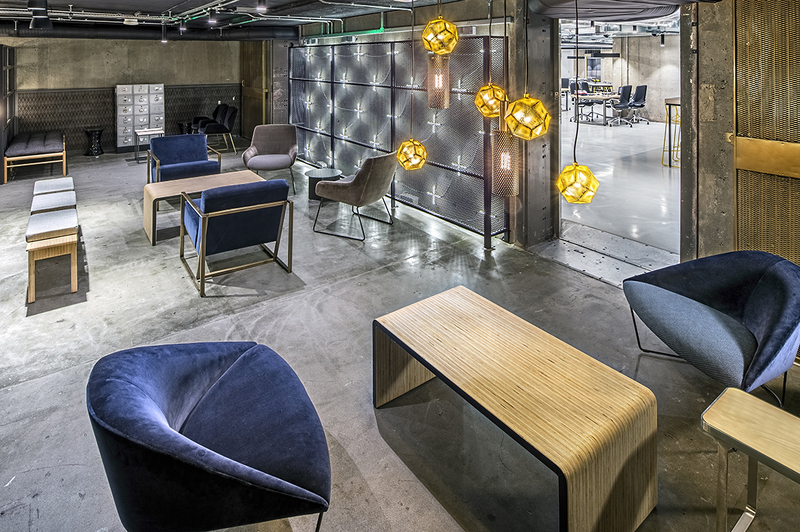 This was coupled with surface mounted downlights, linear LED wall washers and table lamps. 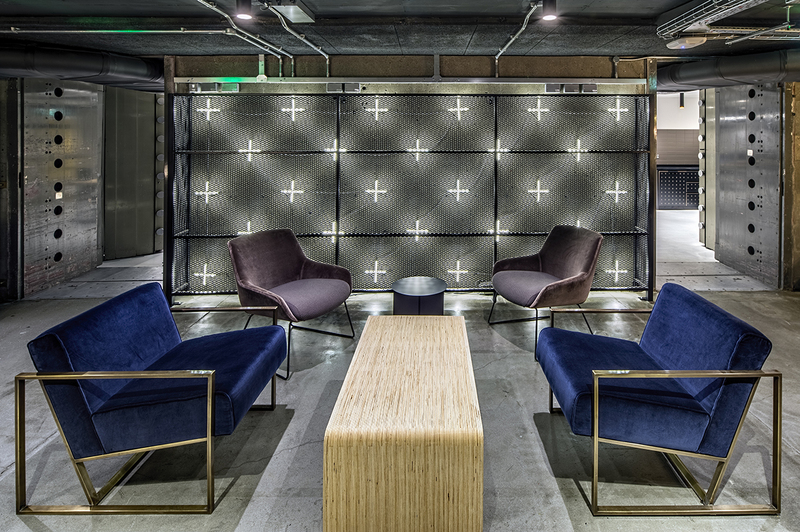 The lighting was zoned and dimmed to create the desired mood providing emphasis on the soft seating and pool table. Curtains separate the various spaces. 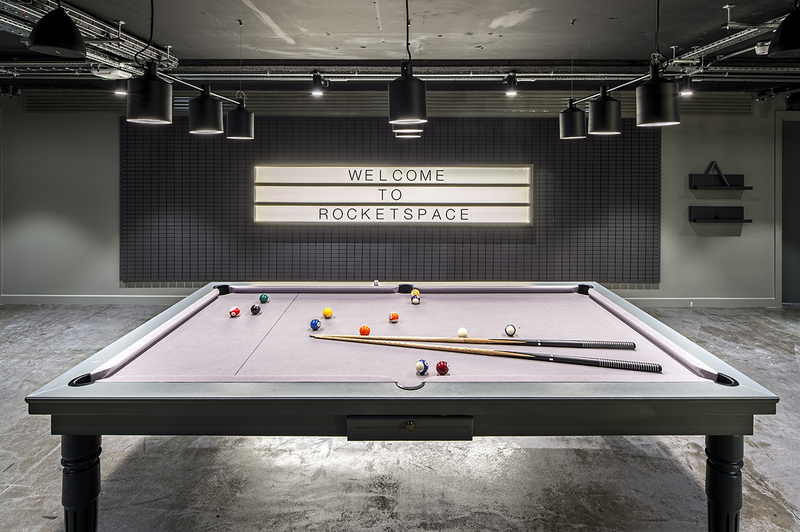 The new RocketSpace Tech Campus really shows a commitment to UK innovation and enterprise by all those involved.